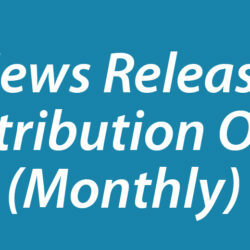 You can purchase our 1x News Release service or Distribution Only service using your credit card (via PayPal) or PayPal, but we currently only accept PayPal payments for our monthly news release campaign services. You can contact us here or email support [at] distributionpress.com. Where Will My News Release Be Published? Your news release will be published on hundreds of news and media outlet websites under its own URL. You will also receive a report post release with distribution details and search engine ranking. How Soon Will My News Release Be Distributed? 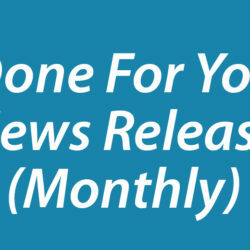 If using our fully managed “done-for-you” press/news release writing and distribution service, please allow 5-7 days for the writing and submission process to be completed. If you choose our distribution only service, then allow up to 2 days for your submission to be reviewed and approved. How Much Exposure Can I Expect For My News Release? It really depends on how much demand there is for the topic being written about and how relevant and useful the press/news release is to your target audience. For example, if a sudden flu outbreak were to occur and your release contains information on how to prevent yourself from catching it, many people would be searching for this information and many journalists and bloggers would be publishing news and information on this topic. This is called “riding a trend” and something that our expert team of writers are very skilled at. A lot of interest in the topic, a rising trend, a recent news event and fewer competing news stories and articles are the ideal conditions for maximum press release exposure and attention. 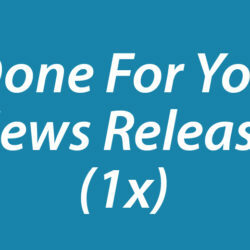 How Long Will My News Release Remain Visible On Search Engines? We’ve seen many campaigns where the press/news release stays on the front page of Google for over a year. Initially, you can expect to see high visibility from being ‘In The News’ and you can even target competitive terms and trending topics. In more competitive niches many of our most successful clients do releases more regularly to stay ever present in Google’s search results. Can You Write My News Release? We offer a fully managed, professional and experienced press/news release writing service to clients. This allows you to focus 100% on your business while we do the work of researching, writing, and distributing your release and guarantees intelligently crafted news angles, more media pick ups and a whole lot of time and energy saved.